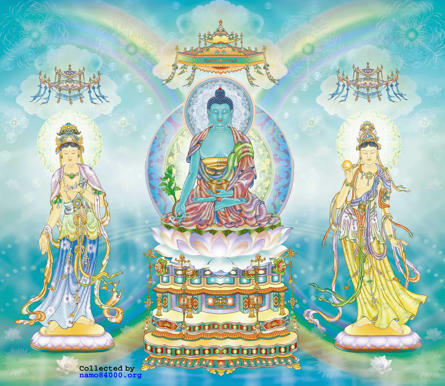 The Three Pure Lapis Lazuli divinities are The three divinities in the Pure Lapis Lazuli world. This Land is east. 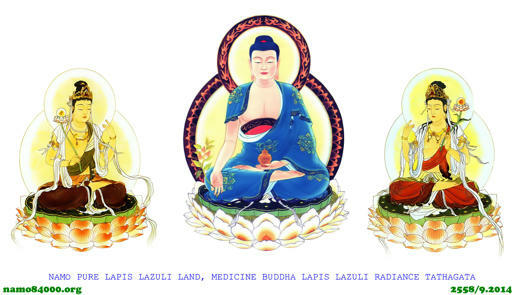 In this Land, Medicine Buddha Lapis Lazuli Radiance Tathagata (Bhaiṣajyaguru) is the guide and welcomer. – Bhaisajya-guru-vaidyrya-Buddha in the centre. 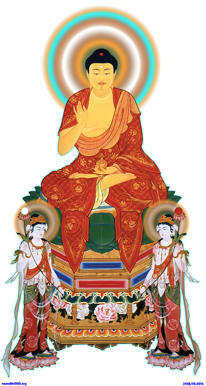 – Surya-prabhasana (Sun – Boddhisattva) on the left. 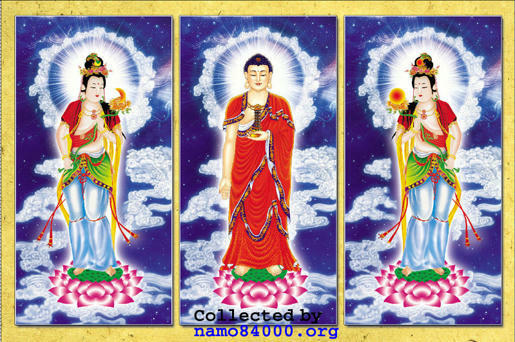 – Candra-prabhasana (Moon – Boddhisattva) on the right.